When you hear the phrase 'working smart' you probably think about health and safety and the PPE gear we all have to wear every day. And that stuff can be a bit overkill at times. But anyone who has had a falling roof tile bounce off their hard hart or ​have dropped something really heavy on their steel toe caps will know it's a necessary evil for site work. However, while this PPE gear is great for protecting you from accidents and hazards, it can't do anything to protect you from the biggest cause of lost working days in the construction industry. Which is musculoskeletal disorders (strains and sprains to muscles and joints). ​For example, according to the HSE statistics from 2014/5 there were 1.7 million working days lost in the construction sector in the UK. And of these lost days, only 500,000 were because of workplace accidents and injuries such as slips, falls, or problems caused by lifting and handling. However, a whopping 1.2 million days were lost due to work-related illnesses rather than injury, with 64% of these being due to musculoskeletal disorders. As long days filled with repetitive movements, standing, twisting, bending, lifting, kneeling, overreaching, and whole body vibrations from power tools and vehicles can all play havoc with your body. It's all about working smartly to stay pain-free and using things that help you to stay healthy. While lower back pain, knee pain, and other musculoskeletal disorders are extremely common among construction workers, they don't have to become reality for you. Because by doing things the right way and taking care of your body you can minimise the damage from heavy construction work. Stretching your body​​ out regularly during the day. Keeping your core muscles strong so you can withstand the powerful movements required at work. Practicing safe lifting techniques to avoid back strains and injuries. Making sure you are using good technique and maintaining a good posture when shoveling. Taking regular breaks and not overdoing things. Keeping your body well fueled with regular drinks and snacks. Staying warm by wrapping up well on cold sites. On top of these things there are many great products on the market that will help you stay healthy at work. And help your body to support and protect your back and joints as you work. Which will hopefully make painful work days a thing of the past. Then read on and I'll show which items to look out for to make this a reality for you too. Lower back pain is the most common complaint among construction workers and this is especially true if you have to lift heavy objects during the day. However, strengthening your core muscles outside of work is one great way to guard against this. As this provides extra support and stability for your lower back as you work and lift. 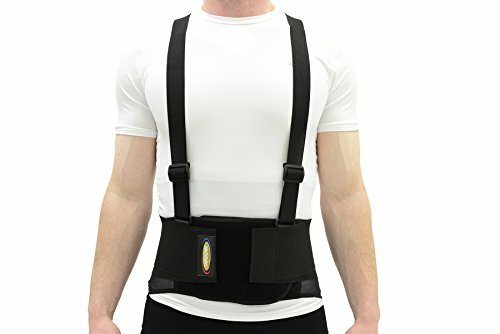 And a great way to further increase this support and stability is to wear a back support belt. As these belts work alongside your core muscles to keep your back strong and healthy throughout the day. They do this by compressing your abdomen to take the strain away from your lower back, while also encouraging you to maintain a good posture as you work. This can also carry the added benefit of training your body to maintain a healthy posture even when you're not wearing the belt. And this will lower the strain and pressure on your lower back and reduce any back pain you feel. So for the extra support, comfort, and healthier posture they promise they are definitely worth giving a try. And a good belt for those involved in heavy site work is the Maxar Deluxe Work Belt. However, while back support belts are great, it's important to remember that they are only effective in assisting your core muscles. And don't use your belt as an excuse for not keeping your core and abdominal muscles strong either! You may not realise how much of an effect your footwear can have on your pain levels during the working day. But wearing the wrong type of footwear can have dire consequences for your back, knees, feet, and ankles. So when you wear boots with inadequate support your body has to absorb all of these shocks, which jolts and jars your back and joints. And secondly, wearing a pair of boots that don't fit you well can cause all sorts of problems. As it can affect how you walk and cause your body to compensate, creating painful muscle imbalances that increase the strain on your back. And when you consider the pounding your feet take on site, walking on concrete floors and climbing up and down ladders, you can see the problem this creates. So if you want to keep back pain at bay, it's vitally important that you wear the right work boots. You need a pair that fit you well and have great arch support. 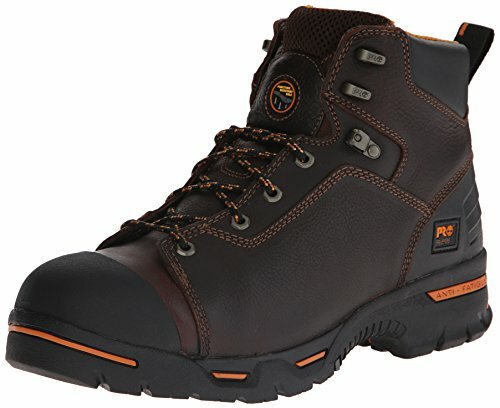 And a good pair of all rounders for site work are the Timberland Pro Men's Endurance 6" PR Work Boots. But there are also plenty of other decent work boots on the market. And the pair which will be best for you will depend on the daily demands of your job. So check out this article on the best work boots for different tasks if you want to learn more. I'm sure as a young buck on site you would've come across many experienced tradesmen eager to pass on their wealth of knowledge to the next generation. And while your eyes may tend to glaze over after one too many stories about 'the good old days', you can learn a lot from these guys. Now on site this advice is normally given by the carpet fitter/plumber/tiler in their 50s whose knees are shot to pieces. ​But do we listen to their warning? Of course not, as we're young, fit and healthy. So why would you worry about your knees when they don't hurt at all? So what if those old boys have shot knees, that'll never happen to you right? Well if you think that way then it's time to change your way of thinking. Because getting rid of pain at work doesn't just mean treating pain you already have, it also includes measures to prevent pain from occurring in the first place. Absorb the shocks from kneeling on hard surfaces. Provide comfort and protection to your knees by distributing the weight and pressure over a wider area. Protect against wounds and infections resulting from accidentally kneeling on sharp objects. Prevent general wear and tear in the knees. So even if you have no pain in your knees yet, you really need to be wearing knee pads while you work to avoid this ticking timebomb. 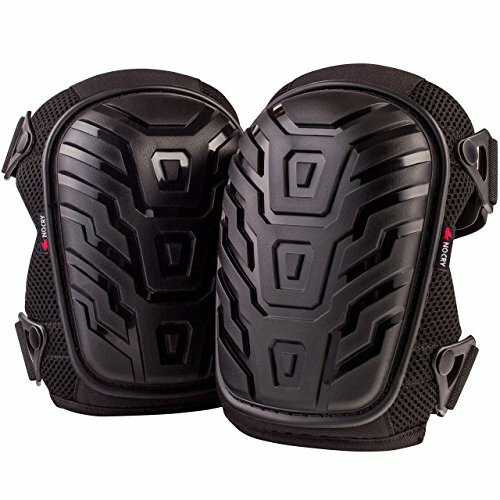 And a great pair that I can recommend are the NoCry Professional Knee Pads. As after 15 years as a painter and decorator I finally decided to buy myself a pair of these knee pads earlier this year. I'm sure my 60-year-old self will thank me for it in the long run! When you work in the construction industry your wrists can come under severe strain and pressure. This is because we use our hands all day at work. Whether that is by laying bricks, using hand tools, lifting, or shoveling, your wrists rarely get a break. And the combination of using forceful and repetitive movements​ as you work, alongside s constant bending of the wrist backward and forwards into awkward positions, means you are at high risk of repetitive strain injuries. Which can lead to painful inflammation and tendinitis of the wrist. On top of that any prolonged use of vibrating tools can put construction workers at risk of developing Carpal Tunnel Syndrome. Leaving you with numb, tingling hands, a loss of strength in your grip, and weakness​ and pain when bending your wrists. All terrible news for those of us who use our hands to make a living! So what can you do to protect your wrists at work? Strengthen your wrist muscles and tendon﻿﻿s with a few regular exercises you can do at home or at the gym. Use ergonomic hand tools that minimise the force and impact on your hands. Take regular breaks to give your wrists some respite. Mix jobs up to avoid too many repetitive movements. 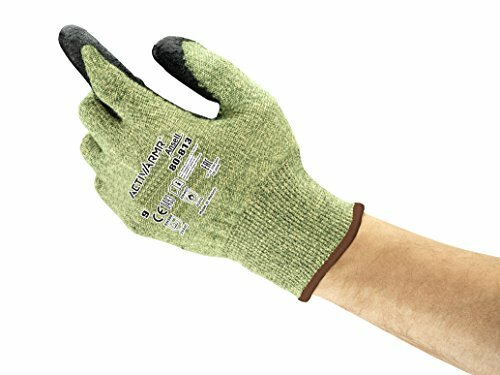 Wear vibration reducing gloves when using vibrating power tools. 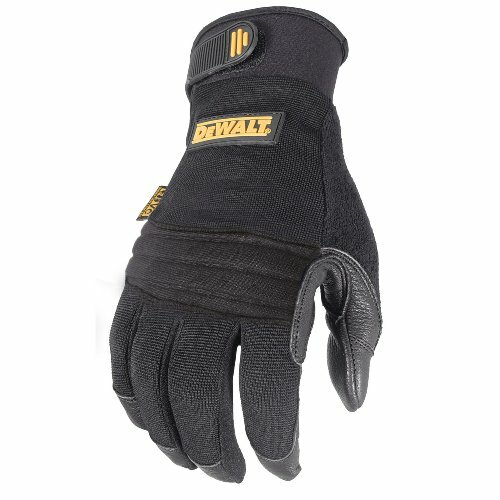 And a good pair of gloves for this last one are the Dewalt Vibration Reducing Gloves. 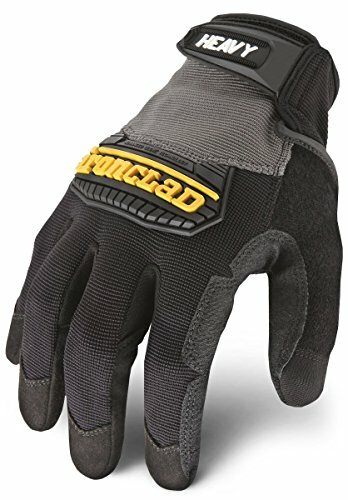 As these can protect your wrists and help you to continue working. So make efforts to start looking after your wrists now to protect your livelihood. Now that we've looked at how to protect your wrists, it's time to focus on your hands. Because your hands are the most important tools you'll ever own. And keeping them healthy and functioning is absolutely vital if you want to keep earning a living in the construction industry. However, according to the Bureau of Labor Statistics, hand injuries are second only to back injuries as the most common on site. A risk of crushing and fractures from handling heavy objects. Cuts and infections from working with sharp objects. Burns from working with hot tools and surfaces. Operating heavy machinery such as circular saws. Using vibrating machinery such as drills and jack hammers. Handling hazardous chemicals and substances, which can lead to skin complaints such as rashes and dermatitis. So how can you guard against these problems and avoid becoming another statistic? Well firstly it's down to you to work sensibly. So you need to stay alert to the potential dangers of each task you carry out and concentrate on carrying them out safely and correctly. But on top of that there are other ways to protect​ your hands as you work. One is to apply a barrier cream to your hands before starting work as this creates a physical barrier between your skin and the harmful substances it comes into contact with. And another good idea is to use a protective pair of gloves for the task you are undertaking. 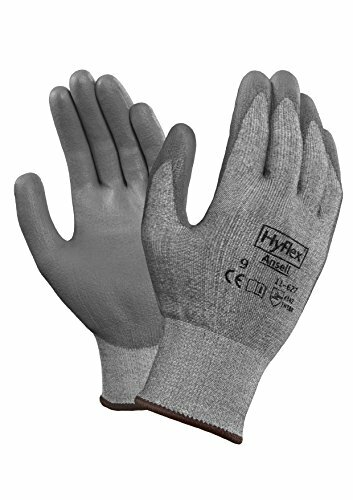 Now there are many different kind of gloves available and each pair is designed to protect against different things. 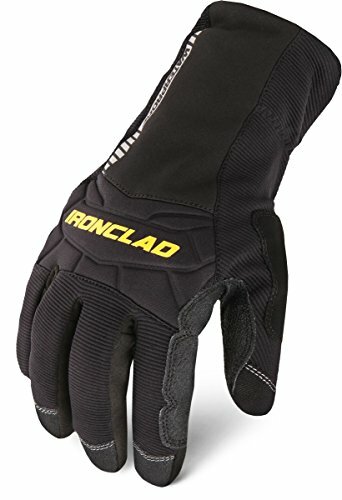 So as a guide I've given you a few ideas above of gloves for particular jobs. Just be aware that when using different kinds of chemicals you may require different kinds of gloves, so check that you are using ones suitable for the task at hand. If your job involves having to spend a few hours sitting at a desk each day, you may think you are less at risk of back pain than someone involved in heavy manual labour. But unfortunately this is definitely NOT the case. In fact, regular extended periods of sitting can be even worse for your body than all that hard work! And your core muscles remain inactive and weaken when you sit, meaning your back gets less support in and out of the chair. Forcing you to sit with an awkward posture which puts extra pressure on your lower spine. The lack of lumbar support in these chairs can result in you sitting with your spine in an unhealthy 'C' shape curve rather than a more natural 'S' shape. Not being able to adjust the height of the arms on the chair can lead to neck, shoulder, and upper back pain. So to avoid these problems, you really need to think about upgrading your old office chair to an ergonomic chair with good lumbar support. As these chairs are fully adjustable so you can tweak them until your chair fits your body like a glove. Provide great lumbar support that will take pressure off your spine. 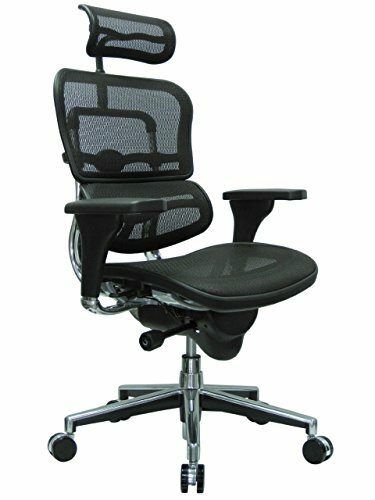 Allow you to sit with a healthy posture. Keep your core and abdominal muscles active, preventing any weakening and increasing spinal support. Relieve pressure and strain on your body as you sit. Great news I'm sure you'll agree. But now for the bad news, which is that these chairs can be pretty expensive. But they are an investment in your health. And if you have a decent budget to spend I'd highly recommend you check out either the Herman Miller Aeron Chair or the Ergohuman High Back Swivel Chair. As both are these are brilliant for anyone who suffers from back pain when sitting. However, if you want a more affordable option the Space Seating Airgrid Chair is a good value choice. Click here to read more about the best office chairs for people with back pain. So if sitting at your desk is so dangerous, using a standing desk instead must be a good idea right? Well to an extent yes. But the bad news is that extended periods of standing can also cause you back pain! Standing in the same position for too long puts extra pressure and strain on your muscles and joints. It can also cause muscle fatigue in your lower limbs. Regular prolonged standing can be a cause of long-term lower back pain. It just feels like you can't win sometimes eh? However the trick here is to mix it up a bit. And getting a height adjustable standing desk to use alongside your regular sitting desk can be a big help. Because being able to alternate between standing and sitting during the day will go a long way towards keeping you healthy and pain-free. For instance, one study from 2011 in Minnesota found that introducing a height adjustable standing desk for office workers reduced their back and neck pain by 54% in just 4 weeks. Lower your risk of heart disease and developing diabetes. Help you burn more calories during the day. Improve your mood and energy levels. All great reasons for making the switch! 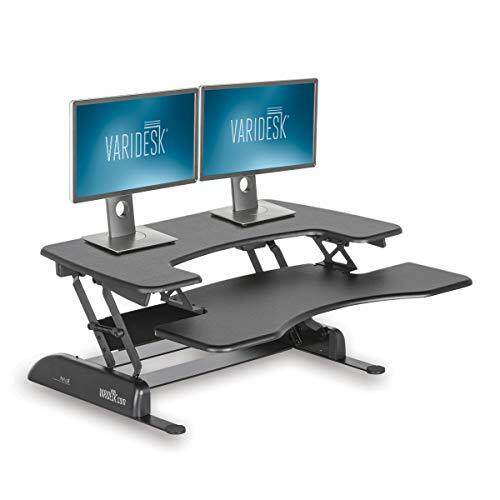 And if you're interested in giving this a go you won't find a better option than the Varidesk Height Adjustable Standing Desk. This will allow you to mix things up easily throughout the day. And to get the maximum benefits you should be aiming to split your time each hour by sitting for 40 minutes and standing for 20 minutes. To learn more about how to use a standing desk correctly to keep pain at bay check out this excellent article form Hea​​lthline. I've already explained how bad prolonged periods of sitting are for you. And for the professional drivers among you I apologise in advance for being the bearer of yet more bad news. Because not only do you get the compressed vertabrae, weakened core muscles, and awkward posture problems from sitting down. You're also exposed to whole body vibrations from the vehicle as you drive. Because your body absorbs these vibrations as you drive, adding even more pressure and strain on to your already compressed spinal discs. In fact, people regularly exposed to whole body vibrations have been found to be 4 times more likely to develop lower back pain. Well the seats of most vehicles (especially work vehicles) ​don't come with the right amount of lumbar support. This means that your lower back flattens against the back of the seat as you drive, forcing you into an unhealthy 'C' shaped posture. However by placing a lumbar support cushion between the seat and your lower back you can bridge this gap. This encourages your body to maintain a healthier 'S' curve posture instead as you drive. And while they can't block out the whole body vibrations from the vehicle, they will relieve some of the pressure and strain on your lower back and allow your back muscles to rest and relax. Meaning less back pain from driving! 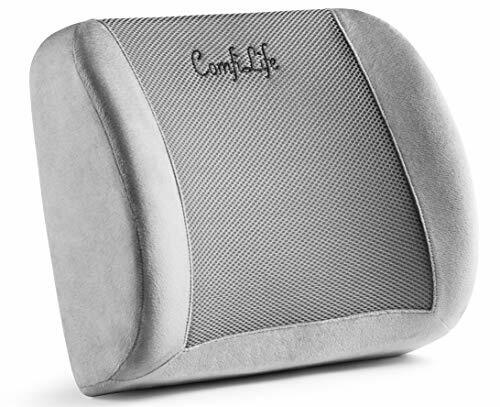 And a great lumbar support cushion to get for your van or truck is the Comfilife Lumbar Support Cushion. So have a try and see what you think. And click here for a list of gift ideas for truck drivers that will also help to keep them healthy, safe, and happy on their long drive. Click here to find out more about lumbar support cushions. I hope after reading through this article you've gained a few ideas about how you can work smart to stay pain-free on site. Because working in the construction industry can be extremely hazardous for our bodies. However, by following some of the suggestions I've put forward here you can get rid of pain at work. So let me know how you get on in the comments, and don't be shy if you have any other suggestions that can help people stay pain-free on site. And here's to a happier and healthier work day for us all.